Make & play games, it’s easy and fun with RPG Playground. You have the story and game design, RPG Playground brings it to reality. No need for programming or making art, everything is provided. 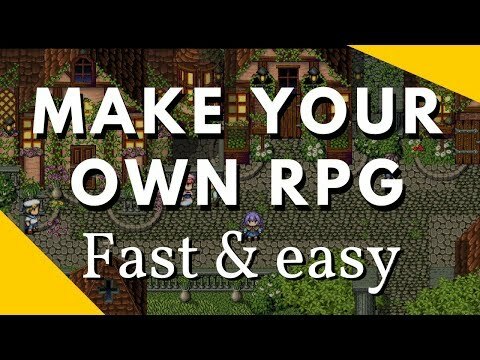 It is the easiest and most enjoyable way to make your own action RPG, and share it with the rest of the world. You can finish your first game in a weekend and let others play it. It’s that simple. Graphics, sounds, music and game features are included, so you can focus on your imagination. The ability to leap seamlessly between edit and play modes truly helps RPG Playground excel as a piece of design software. Play unlimited RPG’s from people around the world. Discover their surprising worlds and stories. Get inspired by their creations, and inspire others with yours. Everyone can enjoy your game after you press the “share” button. You can even release an unfinished game to get early feedback from players. - Web based, so you can log into any computer or Chromebook and continue creating. RPG Playground was added by koonsolo in May 2015 and the latest update was made in Jan 2019. The list of alternatives was updated Dec 2017 There is a history of all activites on RPG Playground in our Activity Log. It's possible to update the information on RPG Playground or report it as discontinued, duplicated or spam. Alternatives to RPG Playground for Windows, Linux, Mac, Web, Self-Hosted and more. Filter by license to discover only free or Open Source alternatives. This list contains a total of 10 apps similar to RPG Playground. It’s easy to use, makes very nice looking and fun games, and the developer is extremely responsive. Maybe you want to be the first to submit a comment about RPG Playground? Just click the button up to your right!